An Epic Adventure to Norway's Fjord Country! An epic journey through Norway's fjord country. Fjærlandfjord, a tributary of the Sognefjord, is just one of the many spectacular places we'll explore! Photo: Wikimedia.org. The land of the midnight sun … where northern lights dance with the stars ... where intrepid Vikings sailed a thousand years ago ... where majestic mountains cradle the fjords that beckon for gentle sails upon their waters so serene … this is allure of Norge or Norway—a land steeped in mystery and natural splendor, and a place I have until now, only dreamed of visiting! It is with those images in mind that I announce that this summer, I will embark on this intrepid journey to discover the land that is Norway. Thanks to my friends at Visit Norway, I have been invited on a tour this summer that will introduce me to Norway's scenic wonder, captivating history, intriguing culture, regional cuisine and for the first time ever, the midnight sun! Euphoric doesn't begin to describe the excitement stirring within and the mounting anticipation that's growing exponentially by the day! At the end of June, I will join a small group of travelers and together we will embark on an epic voyage through the fjords of Norway. The awe-inspiring Hardangerfjord on Norway's west coast. Photo: Tacker. We'll cruise through waterways once traversed by the Vikings. 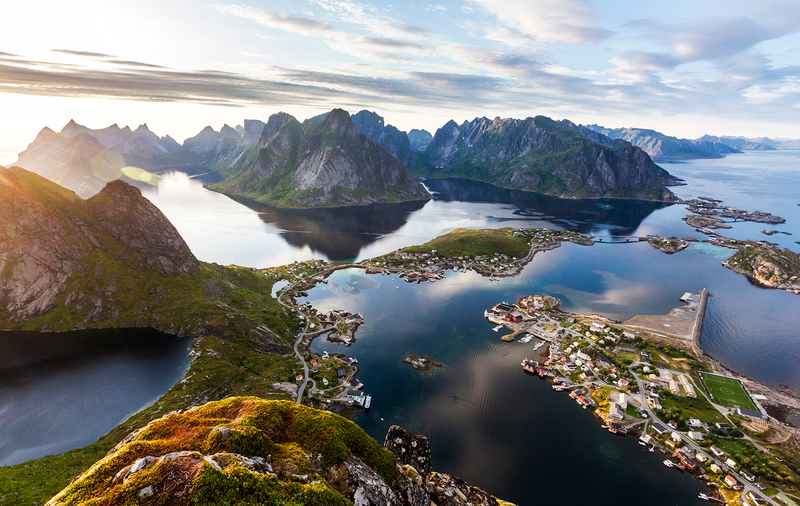 We'll hike along icy glaciers and craggy precipices to behold jaw-dropping views of Norway's fjords—turquoise waters cradled by towering mountains that seem to stretch on forever. Then we'll zoom in for a closer look as we ply those pristine waters and revel in the serenity of nature's striking beauty. And along its shores, we'll disembark into enchanting coastal villages and even climb aboard one of the world's most scenic railways to get there! 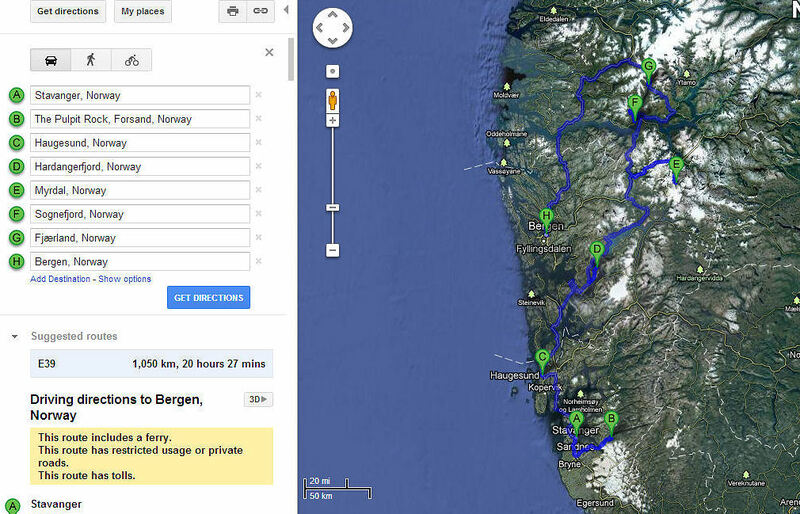 My charted course from Stavanger through the fjords and back to Bergen where we'll say good-bye to Norway. 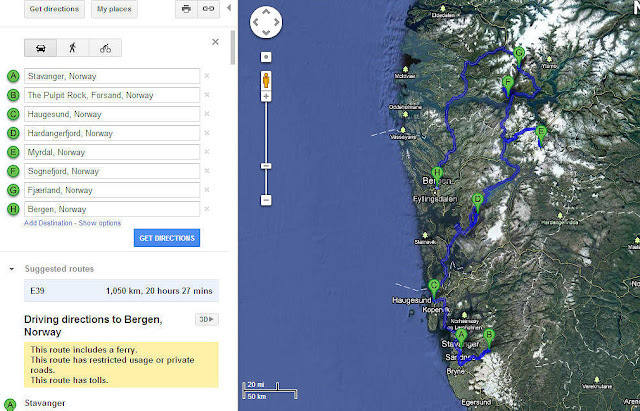 With that said, here's an overview of some of the places we'll visit on this intrepid voyage through Norway and be sure to follow my fjordfaring tales on Facebook, Google+ and Twitter too! Welcome to Norway—land of the Vikings! 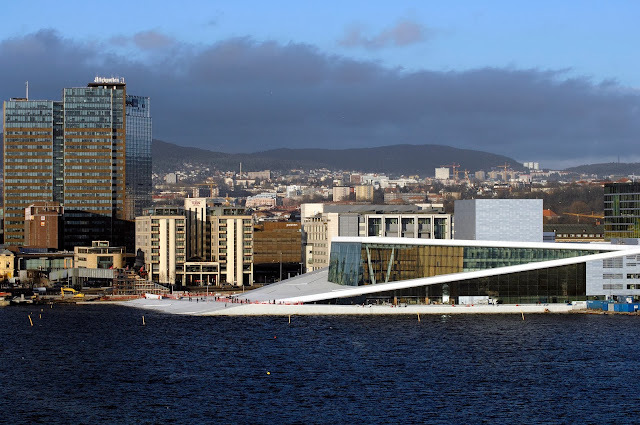 We begin our Norway adventure in Stavanger—the 2008 European Capital of Culture! We'll scale the craggy peaks to the top of Preikestolen or Pulpit Rock that will surely leave me breathless, literally as well as figuratively! Once we descend from our lofty perch, it's a cruise through the scenic Lysefjord for our first encounter with the fjords! Perhaps we'll happen upon one of the legendary trolls who populate these lands too? It's a mystery! Pulpit Rock—top of the world! In Haugesund, we'll travel back in time to the Viking Age and discover this homeland of the Viking Kings and explore what little remains of these seaborne raiders whose influence stretched across Europe, Iceland and as far as North America. 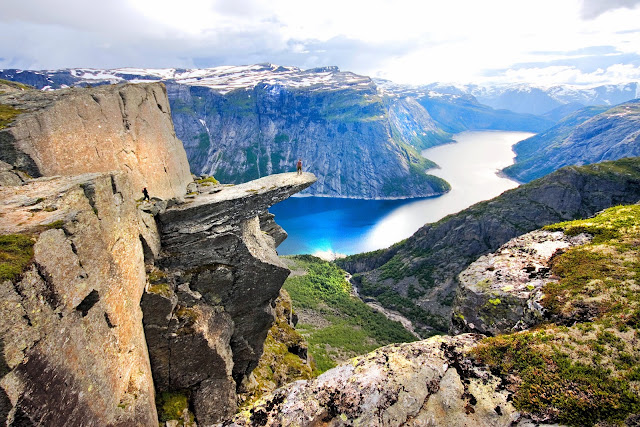 Trolltunga or Troll's Tongue Rock—a rocky slab that juts out precariously over the fjord valley. I can only imagine what this is going to be like! Photo: Reisemål Hardanger Fjord/Terje Nesthus/FjordNorway. Renowned for the Folgefonna Glacier and the Vøringsfossen Waterfall, Hardangerfjord is also home to the Trolltunga or Troll's Tongue Rock—a rocky tongue or slab that juts out into the fjord valley and beckons to all who seek spectacular vistas after ascending dizzying heights to astonishing views of Queen's Fjord. In town, we'll explore art and maritime museums, medieval churches, country farms and more! Ah, but the piece-de-resistance after such an exhilarating day in Hardangerfjord, will be where we hang our heads by night—the Hotel Ullensvang—renowned as one of Norway's finest fjord resorts which happens to be owned by the same family for more than 150 years. Talk about family traditions!! Along the shores of the Hardangerfjord is where we'll hang our heads that night at the Hotel Ullensvang—renowned as one of Norway's finest fjord resorts. Photo: Courtesy of Ullensvang Hotel. From the Hotel Ullensvang, we'll cruise to Voss where we'll catch the train to Myrdal and then board one of the world's most scenic railways—the Flåm Railway to where else but Flåm of course. The Flåm Railway is one of the world's steepest normal gauge trains and travels for 20 km from the mountain village of Myrdal to the Aurlandsfjord, a tributary to the world's longest fjord—Sognefjord or King of the Fjords, which is on our itinerary as well. We'll climb aboard one of the world's most scenic railways—the Flåm Railway from Myrdal to the Aurlandsfjord. Photo: Innovation Norway. 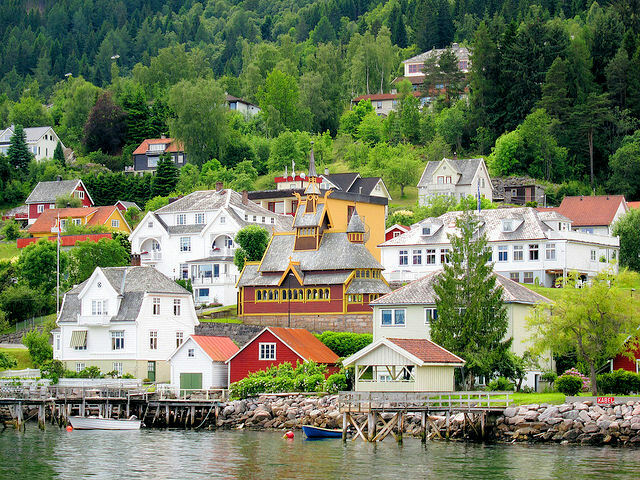 The picturesque village of Balestrand, Norway, has lured artists, writers, photographers and tourists alike for decades! Photo: Nelson Minar. After cruising down the Sognefjord (King of the Fjords), we'll disembark in Balestrand, a quaint fjord-side village steeped in cultural history and arts. This tiny hamlet has long attracted artists, writers and tourists since the 19th century because of its picturesque surroundings and unique quality of light—sounds like Provence. How could one not be inspired by surroundings like these? 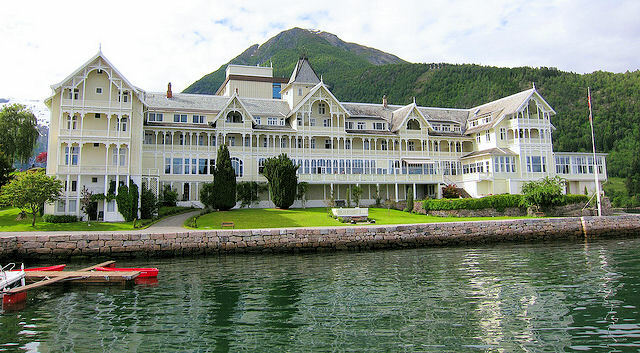 Kviknes Hotel – The Jewel of the Sognefjord, is where we'll spend the night in Balestrand. Photo: Nelson Minar. Another stop along our intrepid journey brings us to Fjærland on the shores of yet another tributary of the Sognefjord—Fjærlandfjord. Photo: Frithjof Fure - Visitnorway.com. After Balestrand, it's a fjord excursion to Fjærland and the Norwegian Glacier Center before we embark on a 4-hour cruise the following day to Bergen—gateway to the fjords. Second largest city in Norway after Olso, Bergen is renowned as the big port city with small-town charm. Located on Norway's western shores along the North Sea, this maritime port is not only a major commerce center but popular with the cruise industry as well. 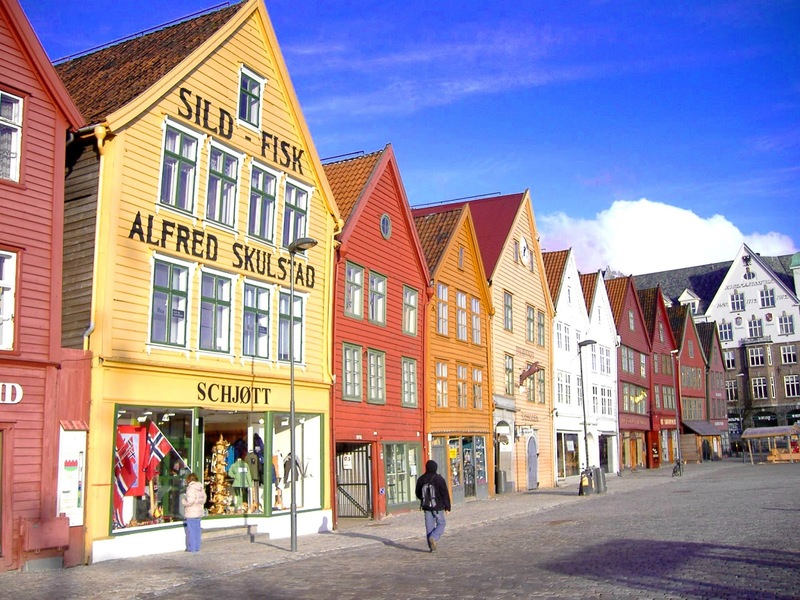 Some of the highlights include the funicular that ascends to spectacular views of Bergen; the North Sea and the surrounding fjords; the Edvard Grieg Museum—more fodder for my ArtSmart Roundtable; the fish market; and the Fantoft Stave Church—among others. 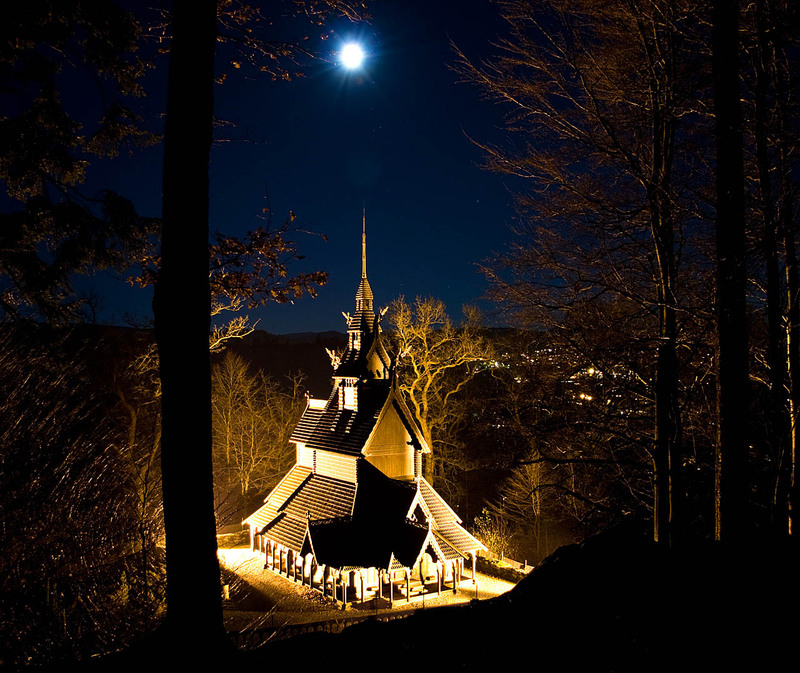 The Fantoft Stave Church that stands here today is actually a replica of a church built in 1150 that was moved from its original home in Sogn to this site in Bergen at the end of the 19th century. Because of a string of arson that plagued many of Norway's stave churches during the 1990s, it too succumbed in 1993 but was rebuilt and opened in 1997. Photo: WikiMedia.org. The vibrant Hanseatic wharf in Bergen, Norway. Photo: Andrea Giubelli - Visitnorway.com. Bergen is where the sun will set upon our Norway adventure. 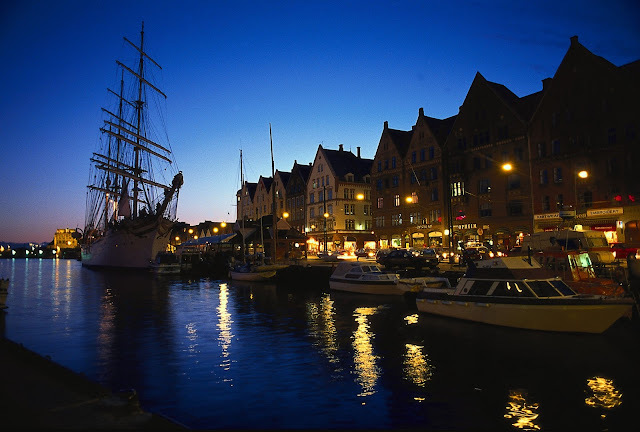 Photo: Bergen Tourist Board / Per Nybø - visitBergen.com. And so for now, I leave you with a stunning video—Impressions of Norway. Make sure you view it full screen. 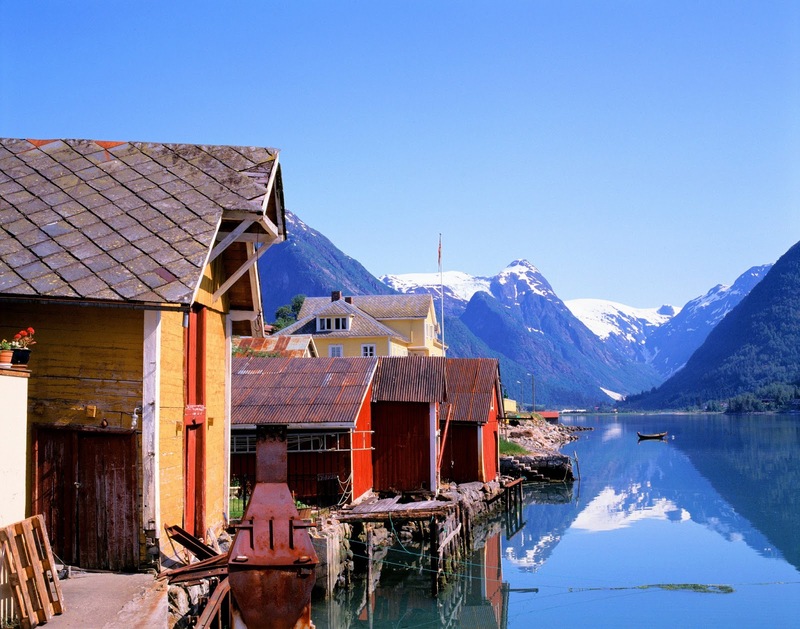 Norway-travel guide from Morten Berg on Vimeo. Hi there Deb and thank you so much for stopping by! I wish that you were coming with me...this is such a natural fit for the both of you and would provide the opportunity to finally meet face to face. If you find yourselves in the area from 6/27-7/5, let me know! Thx again! We are doing this tour this summer, and I can't wait! Thanks for the amazing preview! How exciting my anonymous friend. When is your tour? Is it a tour that you have put together or will be with a group. Tell me more about the places you will see in addition to those above. Thank you so much for stopping by, for your kind words and sharing your thoughts! Looks like an incredible trip! So excited for you and can't wait to hear more about it! Hi there Laurel and thanks so much for stopping by and for your kind words! I am over-the-moon excited about this adventure. I'll eagerly be following your adventures, Jeff! I'd love to ride the Flam railway or get a closer look at all the old wood architecture. Norway looks a photographer's dream! Hi there Lesley and thanks so much for your comments. I think the Flåm Railway is definitely going to be one of the many highlights of this adventure! And yes, I agree that Norway is a photographer's dream...I am going to be in heaven!! That looks like an amazing journey. That's a part of Europe I haven't discovered yet. Look forward to following your journey. Hi there Lance and thx so much for stopping by and sharing your thoughts. I will be sure to provide plenty of updates of my journey for you ... so stay tuned. Thx again. Hi there Debbie and thank you for all of your kind words. This journey will be epic truly...I still can't believe it's real! 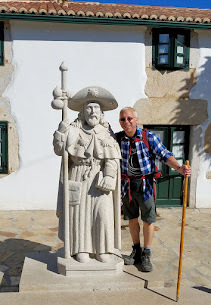 I hope you follow along closely as I make my trek through the Norwegian Fjords! Thank you for stopping by to share your thoughts. I've only visited Oslo and Bergen, and was lucky enough to spend Christmas with our Norwegian cousins. 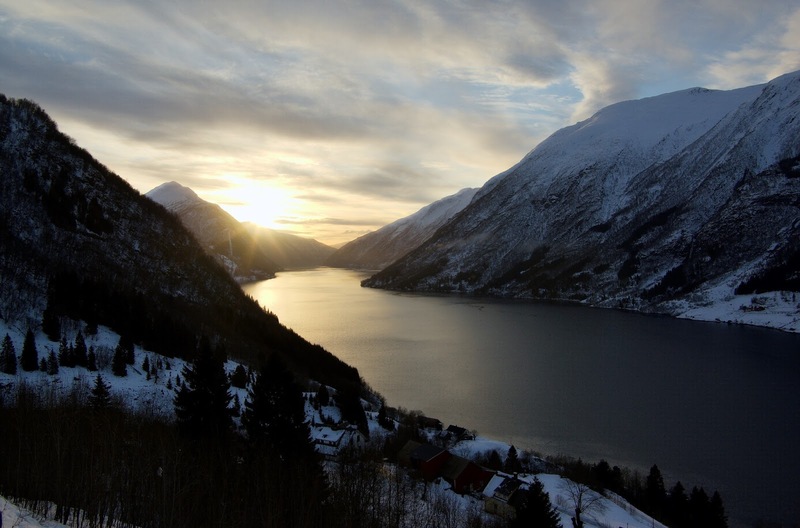 I would love to see the fjords, though, as my family hails from Sogndal. On a side note, we were just in Kotor, Montenegro, which is often described as Europe's southernmost fjord, but technically isn't (since it wasn't carved by a glacier). Still gorgeous though. Shall look forward to your posts from my homeland! Hi there Tricia and thank so much for this wonderful note!! I think you got me even more excited than I am!! I have wanted to visit Montenegro for quite some time...it's stunning! Thx for stopping by to share your thoughts! Hi there Heather and thanks so much for stopping by. Cruising will only be part of the adventure but sure do hope you follow along! Thank you so much! Congrats my friend. I cannot wait to see the Norway posts with all your amazing pictures. I would love to visit Norway in the summer, but especially in the winter. The cross-country ski race I participate in Wisconsin gets its origin from Norway. Summer or winter will be spectacular. They picked a good person to bring its magic to the rest of the world. Hi there Ted and thank you so much for stopping by and for all of your kind words...I am honored!!! I want to experience Norway in the winter after this...to see the northern lights! And I am not leaving until I do. ; ) Thx again for everything! This trip looks wonderful! Have not been to Norway, so I look forward to reading about your experiences there. Hi there Anita and thank you so much for stopping by and sharing your thoughts. I hope you follow along and have the opportunity to visit Norway one day soon. Like always you've inspired us, Jeff. We're heading up to Norway in just a couple of weeks. Thanks! Hi there my friend! Wow...didn't know you were going to Norway too!! How fabulous!! I can't wait to follow all of your updates! Thx so much for stopping by and sharing your thoughts!